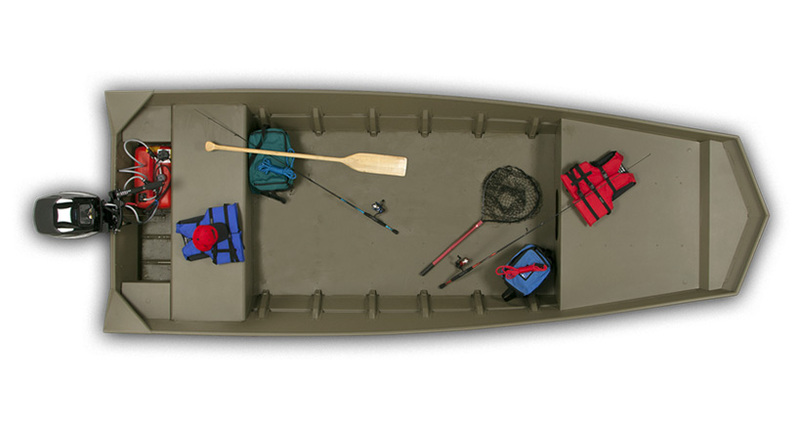 Lowe Jon boats are the best value in the game, and the Lowe L 1648 MT Aura is a prime example. 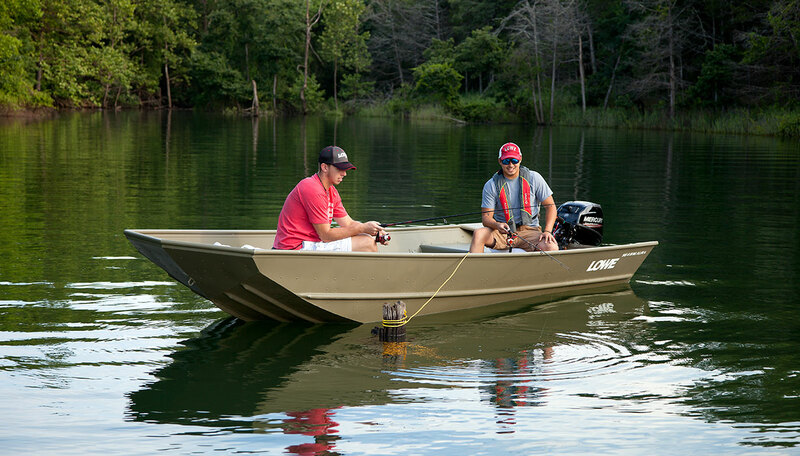 High-quality details like formed-in keels and spray rails and sturdy transom handles help you get out there and get the job done. 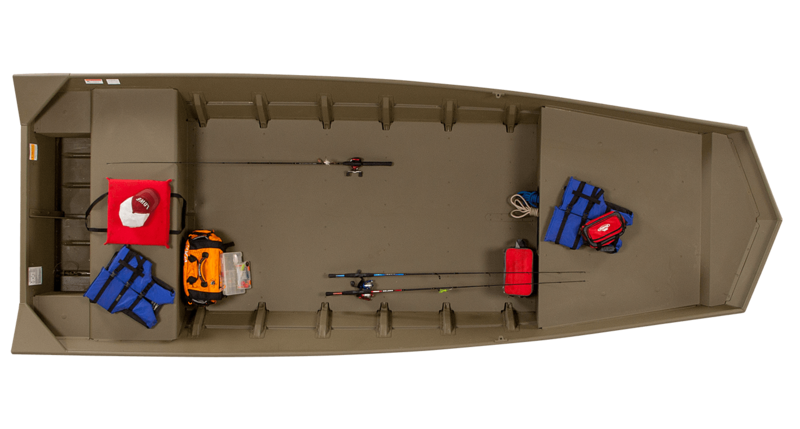 On the L 1648 MT Aura, a large bow casting platform provides loads of room to work the fish, while premium Mercury® power options take you there and back quickly and economically. 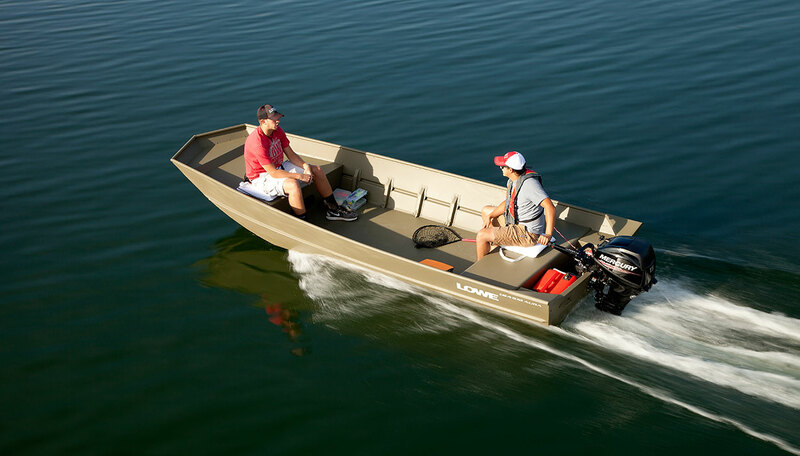 Trust Lowe for all your Jon boat needs.